PRODUCT: SHING-GO # 115-SGH (S) FIBERGLASS REPLACEMENT HANDLE. 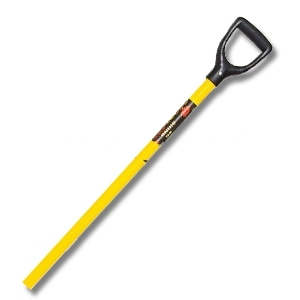 Super Heavy-Duty Fiberglass replacement handle. 43 inches long, 5" wide handle, 1-1/4" diameter shank. Slightly tapered end fits 117-SGS(S) shovel bodies and other common shovel applications.